Vanessa Ægirsdóttir, Matanuska 3, 2016. Wool Tapestry. 10.5 x 13 in. Vanessa Ægirsdóttir is a textile artist with over 20 years invested in experimentation and learning. She has attended residencies in Northern Iceland and demonstrates a love for the landscape. Mother Nature’s ability to combine colours determines the palettes for her weaving and hand spinning. She is currently studying her for BA (hons.) in Textiles from the University for Creative Arts in the UK. Ægirsdóttir refers to her artistic practice as "slow textiles", using materials that are made by hand whenever possible. 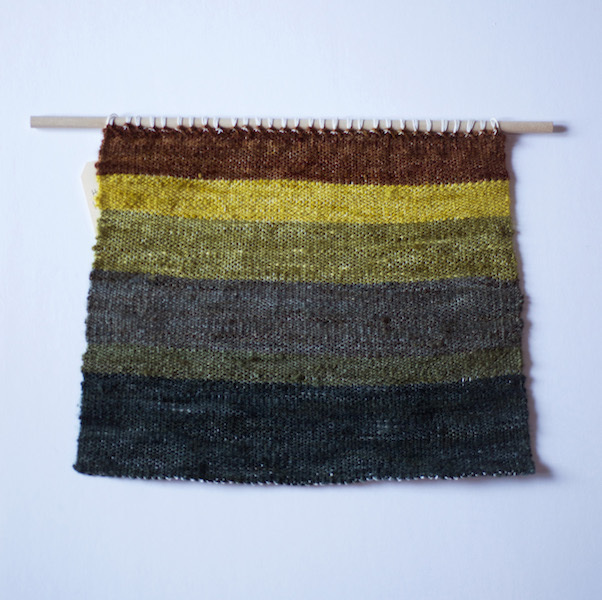 From utilizing hand spun yarn to naturally coloured dyes, her tapestries reflect colour combinations found in landscape photographs taken by and with the permission of renowned artists such as Manu Keggenhoff and Robert Postma.